As soon as your youngest learner knows how to count to 5, they are ready to learn addition. 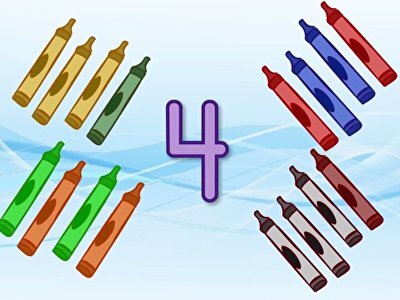 Because visual aids help many young learners, engaging Year one data resourcesThat involve counting common objects are key, allowing you to sneak in an explanation of how the plus sign dividing the two groups your little one is counting brings them together to form a sum. 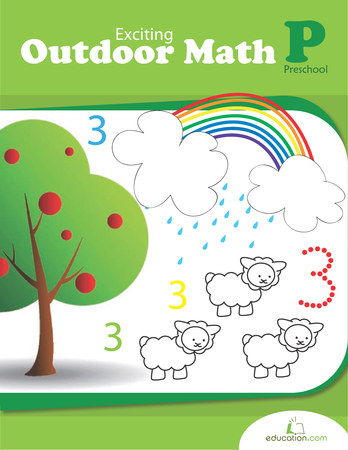 If your preschooler has an eye for style, this worksheet will help get him counting. Have him count the number of hats in each problem. A flower-themed counting worksheet for preschoolers. A counting worksheet for preschoolers, featuring presents. This worksheet asks your preschooler to count the number of blueberries on each muffin, and then decide how many more need to be added to make the number five. Count the number of different types of clothes in each box to solve the simple addition problems. 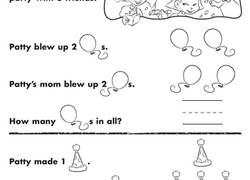 If Patty blew up two balloons, and her mom blew up two, how many balloons are there? 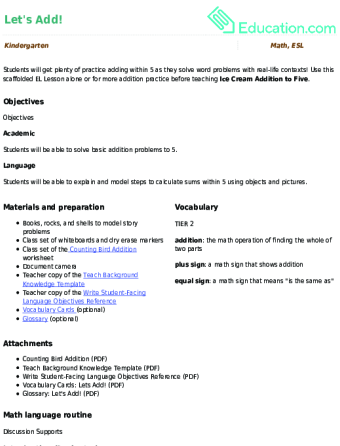 Help your child learn the basic idea behind addition with this worksheet.